Move beyond just talking with team members about how they are doing on the “stuff" and spend more time on their personal leadership skills as well. If the term “Performance Management” gives you hives, you are not alone. 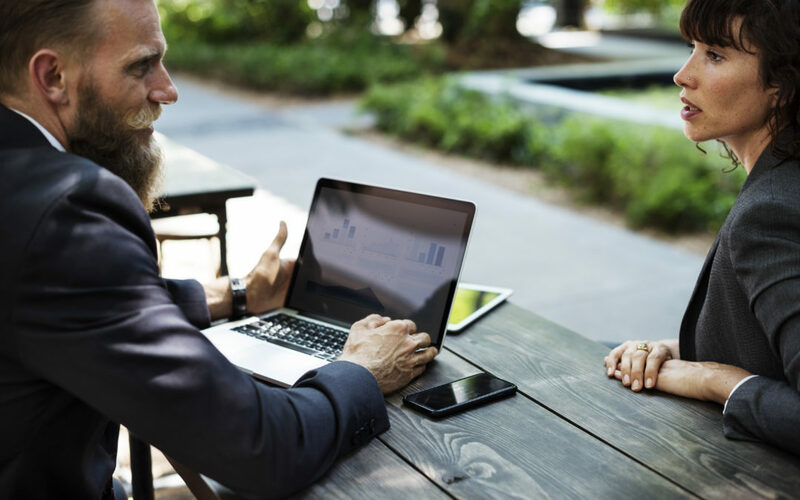 Several times a year, both managers and team members have to embark on the frequently despised process of writing and delivering annual performance reviews. But if your view of performance management is limited to a soul-crushing, once-a-year performance feedback dump, then I encourage you to take a more holistic view of what it could be for you and your teams. In so many of our organizations, we continue to operate with the performance management infrastructure that supports the work life of thirty years ago. Long ago, the idea was that you do a job, with “X” amount of output, and you get paid accordingly with pay increases being tied to performance. What we know today is that the process of sharing feedback and managing performance is much more fluid, holistic, and continuous than the old model of work supported. Let’s first move our mindsets from “managing performance” to “maximizing potential.” That is really the goal after all, right? As leaders, if all of our efforts go towards maximizing versus just managing, that feels much more expansive, with broader possibility. If instead of simply performance we consider potential, then we don’t put limits on just how high someone can perform. I coach plenty of amazing leaders, especially who are high-achievers, whose performance has always been strong enough that neither they nor their leader saw that they were not even close to maximizing their potential. Let’s unpack each of these a bit. It is important that you have a process in place to have frequent, consistent discussion between each person and their direct manager. Consider this as more of an ongoing conversation rather than communication “events.” For some people, this may mean a daily check-in for five minutes, for others it may mean a weekly or bi-weekly touch-base for an hour. Whatever the frequency, it should be ideal for both the manager and the team member. Some people despise getting a call every day from their manager to explain their sales results for the day (if this were me, I would quit immediately), while others can’t wait two weeks for a check-in. If it feels like an event, then it is not happening frequently enough. There are two critical components to your ongoing conversation: performance and personal leadership. One common pitfall many leaders make is that they only speak with their team about how they are doing on the “stuff,” not about their personal leadership skills. Our teams want to not only hear that their project is on track or how they could improve their recent presentation, but they want to grow as leaders themselves. This means that we have to include dedicated time to talk about HOW they get things done as well. If they accomplish tasks by stomping all over everyone and being a terror to work with, leaders need to address style, perceptions of others, and more effective collaboration methods as part of the conversation. Have you ever wondered how someone gets promoted into high-level leadership roles when no one likes working with them, or perhaps their results are great but how they achieve them is abysmal? No one ever did them a solid and taught them how to value the “how” in addition to the “what.” These are the leaders we all complain about over dinner. Make certain you intentionally discuss results as well as methods, style, and leadership as part of your ongoing conversation. Emotional intelligence is often described of having four main components: self-awareness, self-management, social awareness, and social management. To maximize the potential of your team it is important that they have an accurate understanding of their own work style, strengths, and their areas for improvement. As the leader, it is critical that you are also aware of these elements to how they work so you can tailor your feedback and development to their style. The better that you can understand how your people tick, the better you can meet them where they are and start stretching them towards their higher potential (and therefore, performance). If your company uses leadership competencies or personality and work style assessments, these are great ways to use a common language in describing behaviors that helps people better understand their styles in a non-threatening way. Maximize the tools at your disposal, or add some new ones this year as you enhance your performance management mindset and help add color to the discussion on personal and professional development. Once you are both on the same page on how results are going, and how they are being accomplished, the leader and the team member can co-create a plan to maximize performance and potential. It should be a plan that not only helps to achieve the key goals and objectives for the year, but does so intentionally using the skill sets that the team member is trying to grow. This might be leading with their strengths, or purposefully working to mitigate a leadership gap. For example, if my goal is to plan a big corporate event this year at my company, I might focus on communicating effectively with others as the “how,” and the conversations on progress should reflect not just how the event planning is going, but how I am actively growing my communication skills through this project. The plan should be revisited frequently, and adjusted as necessary. I would be remiss to not mention the importance of applying resources to people’s development. A great plan is worthless if the team member does not have access to the resources they need to successfully execute the plan. Training might be needed, or perhaps just some time reserved for deliberate practice is required. Whatever resources are needed should be part of the plan, and committed to in action, not just words. Leaders, I am looking at you… If you write great development plans with your high-performers and don’t give them the resources, it is just one more thing you are adding to their giant plate of work. Your best people could end up leaving feeling burned out and unsupported. Finally, in order for anyone to thrive in an organizational culture, there needs to be an element of community and belonging in place as part of that culture. This means that the culture honors and supports the needs of the individual, and supports the needs of the group. Members need to feel connected and have a sense of belonging with the others that are inevitably entwined in their work. This takes more than a few tweaks on the part of the individual contributor or the leader alone, but is a testament to the tone set by the organizational leadership, and reinforced every day by all participants. While this is a bigger fish to tackle, it makes a difference in the goal of maximizing your team’s potential. Lay out the foundation now and align expectations to create a better experience and stronger year. May the odds be ever in your favor.